Oh yeah! I’ll need to do something about that. I’ve been really focused on collecting clients for a free NABERS assessment with CitySwitch (I’ve got two clients!) but yesterday I got some good news – the CitySwitch Rebate will be extended. That means I can change focus for the last few days of the working year and start the NABERS assessment hunt again at the beginning of next year. This morning I woke up and thought – Christmas cards! What a great reason to write to people and tell them what I’m doing. Here’s hoping they all read this :-). So I’ll go shopping this morning and send them off this afternoon. The rest of the week will be tent sewing, cleaning out the drainage at our house in Ballarat and then I’ll think of something fun to do on Friday. 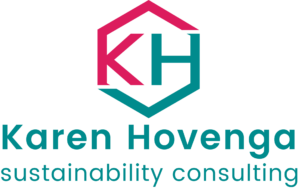 I’ve been engaging a bit more with Twitter lately and recently there have been a couple of links to articles about reducing consumption. Consumption is one of my areas of focus. I’ve spent a lot of time over the years identifying what I’m buying, how much waste is associated with it and finding alternatives. One of the first things I did was to start making my own laundry soap (I don’t use borax thought). I also think this article about reducing our expectation of “stuff” is a useful read for rearranging your brain to adopt a more minimalist style.